How Many Laser Tattoo Removal Sessions Will I Need? 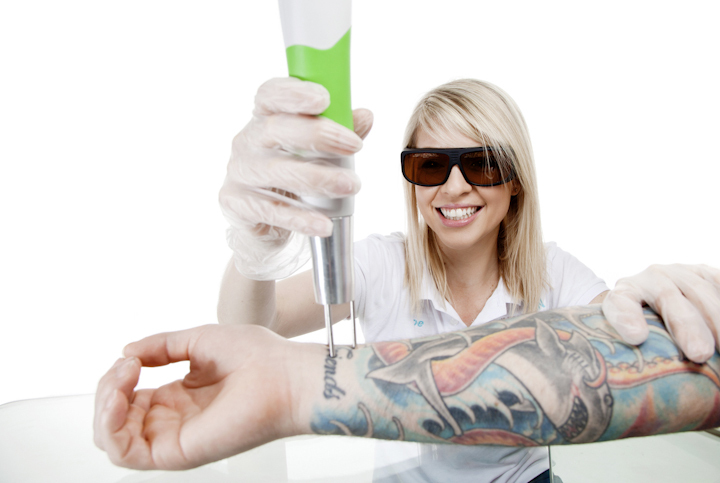 BlogHome » How Many Laser Tattoo Removal Sessions Will I Need? From the moment you step through the door at Think Again Laser Clinic you will be provided an upfront and honest assessment of your tattoo. 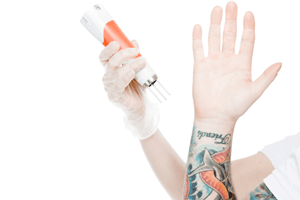 No gimmicks, no tricks, just an upfront, professional assessment by industry experts on how many treatments we believe your tattoo removal journey may require. 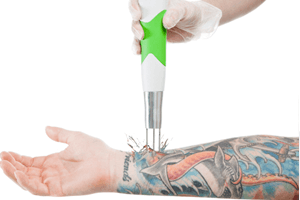 The Quanta Q-Plus C is the industry standard for the removal of all tattoos. Without the 3 dedicated wavelengths that the Quanta exclusively utilises it is unlikely that anything other than the most simple of tattoos will be able to be successfully removed. Unfortunately there are many machines on the market and that are being used all around the country that simply do not have the power capacity, necessary functioning and safety features to remove an entire tattoo. Replica lasers are being sold out of Korea and China for as little as $2000AUD (find out for yourself by doing a quick Ebay search!) while an industry standard machine will cost in excess of $130k. 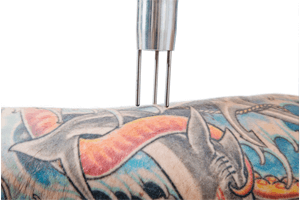 These cheaper lasers may scrape the surface layer of the tattoo ink but will not have the energy to pass deeper through the skin to attract the remaining tattoo pigment, let alone have access to regular servicing and calibration. Always make your #1 question- What is the brand name of the laser you use? Make sure you do your research! The technology that is being used is certainly the most important factor to consider as to how quickly the tattoo can be removed. Each and every laser tattoo removal journey will be different to the next. Every circumstance and variable we measure in order to provide a number of sessions required is based on the above factors along with the knowledge and experience of our specialists. To provide an exact number is to assume we know all of the answers, which to be frank is impossible. The way your body functions and how efficiently your body removes and flushes the broken ink particles after each treatment may be one of the most important variables and one that remains unknown until the treatments start. We will always quote the best and worse case scenario. The number of treatments required ranges from 2-10 sessions (and in rare cases even more) any clinic making claims less than this are not being honest and upfront, ask to see their before and after photos! This gives an indication of how diverse the tattoo removal journeys are, every client is up against something different.People are looking forward to tattoo removal because of various medical issues related with tattooing. At Think Again Laser Clinic Sydney we pride ourselves in providing realistic expectations for our clients. 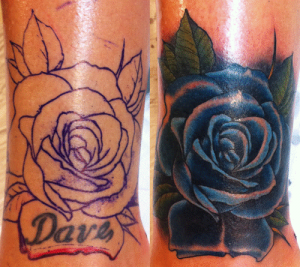 To do this we use our specialist training and experience to guide you through your tattoo removal journey. We are a tattoo removal clinic, not a beauty clinic, for this reason we utilise the most advanced technology in the world for laser tattoo removal. Our Italian made Quanta Q-Plus C Laser plays an essential part in the removal process. Without high quality technology such as the Quanta, not only will the process take far longer, it also poses the risk of damaging the skin. If an inferior machine is used it is also likely visible ink will be left in the deeper layers of the dermis and due to lack of available power is then unable to be removed. 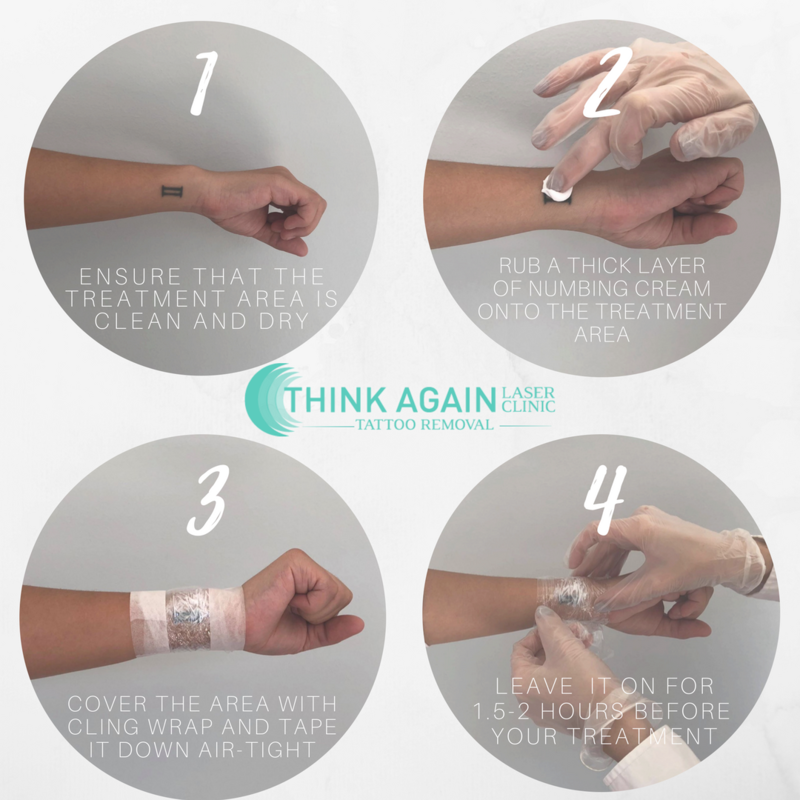 At Think Again Laser Clinic Sydney we provide our clients with clear expectations for their tattoo removal journey. Each and every tattoo will have an entirely different outcome and time line for removal, so at consultation we ensure the process is completely transparent. Contact us to schedule your free consultation and begin your journey to ‘Recreate the skin you’re in’.